The mask resembles ‘smooth peanut butter’ so ensure you have no other social plans for the day! You will be advised on your timings, and when and how to remove the mask at home. The second part is the continued application of specific Cosmelan products from home. Again full instructions and advice regarding your aftercare is provided. We see you again 48 hours following your mask application to review your skin, we then take you through your next month of aftercare which does require application of your products three times per day. One month later we review your skin, by this time much of the visible pigmentation will have faded, we then advise your next two months aftercare which is using your products just twice a day. At the end of month three, we review your results again, you will be used to your fabulous new skin tone by this time so it is crucial to continue with your at home care and again we take you through your next four to twelve months which is using your Cosmelan creams just once a day. Throughout your whole treatment you must commit to a daily application of a very high SPF, this must be used throughout the year and is advised as part of your skin care regime moving forward to maintain results. The Cosmelan Depigmentation Peel is a moderate chemical treatment designed to decrease areas of hyper-pigmentation, reducing the pigmentation that occurs due to sun exposure, acne, ageing, and hormone fluctuation.How does Cosmelan work? Cosmelan inhibits an enzyme called Tyrosinase, responsible for the manufacture of melanin. 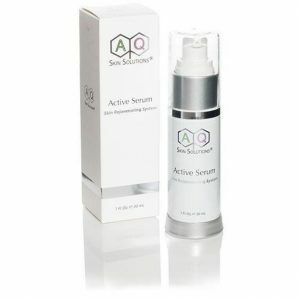 By slowing the melanin production, dark areas of pigmentation will soon fade. What is my recovery like after Cosmelan? Two to three days after the treatment is applied, the skin will begin to flake and peel. For these first few days, the face may feel tight, itch, and be slightly red and swollen.It is possible to continue to peel for a few weeks post treatment but this is rare. When can I expect to see results from my Cosmelan? After about one week, you will see the skin beginning to look brighter and more even in tone and by four weeks you would expect to see a significant improvement in your skin tone. How long will the results from Cosmelan last? 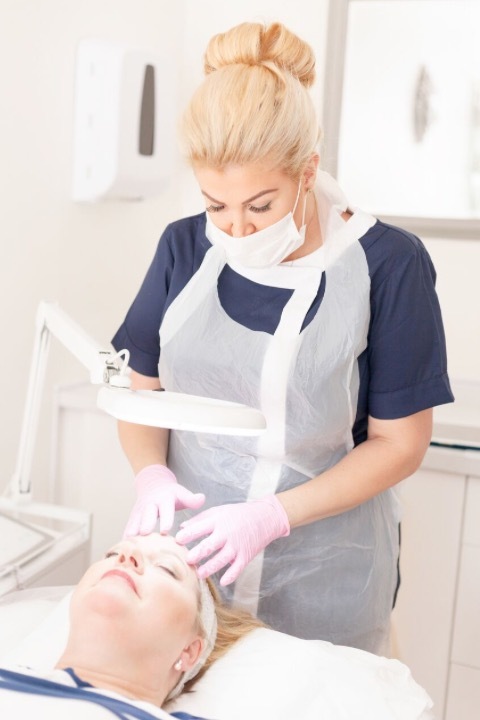 As long as proper skin care is continued and the use of a high qualiy, high SPF and you stay out of direct sunlight, the results from a Cosmelan Peel can last for months to come. Who is Cosmelan not suitable for? After years of using sunbeds and low spf on my face I developed patches of pigmentation mainly on my forehead and underneath my eyes. I could hide it slightly with makeup but was always so embarrassed to be seen without it I wouldn’t even put the bins out! When I was 26 i got pregnant and it became so much worse, most people said it would go back to how it was once I’d had the baby, but it didn’t… It was here to stay! 16 months after having my daughter I found Penny, “The Queen of skin” she explained how difficult “Melasma” was to treat but she was optimistic and we began my face journey! With her knowledge and wonderful products my acne began to improve massively (another issue of mine) but the Melasma only slightly… Until she introduced “COSMELAN” my skin savior!!! This product has changed my life, not only the way I look but the way I feel about myself. With no exaggeration, after 2 weeks the very dark, very big area of melasma which was slap bang in the middle of my forehead was gone, vanished! And there was fresh, even, shiny brand new skin in its place! I am still using the cream daily for up to the next year, I can’t even begin to imagine what I will look like then! We stock a full range of our recommended retail products, we want to ensure your results last and the best way to do this is to use your at home care along side your maintenance treatments. We only select the lines that we want to use, we are not obliged to stock any products that we do not fully believe in. Penny Davis hand picks the skincare companies that she believes provide the very best available for you. She regualary checks the market, extensively tests the choosen items before releasing them for use to her clients. Chemical Peel, What’s The Deal? Our website has lots of information for you to browse but should you wish to speak to us, please do call us to discuss any of our procedures and treatments. We have wide, multi-platform social media presence so if that is your preferred route to get in touch, please do so.